The Rebel Sweetheart. 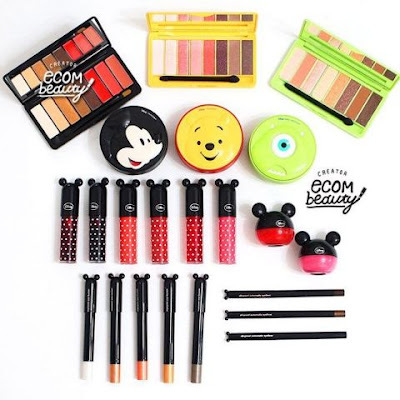 : Sneak Peek | The Face Shop x Disney Collection. 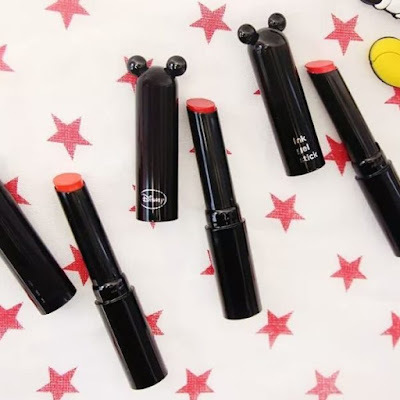 From cushions to blushers, mascaras to lip tints, this all-new makeup range look deceptively like toys at first glance, which makes them even more attractive. The cushions, for instance, come in three irresistibly cute designs, with each cushion addressing a specific skin concern. 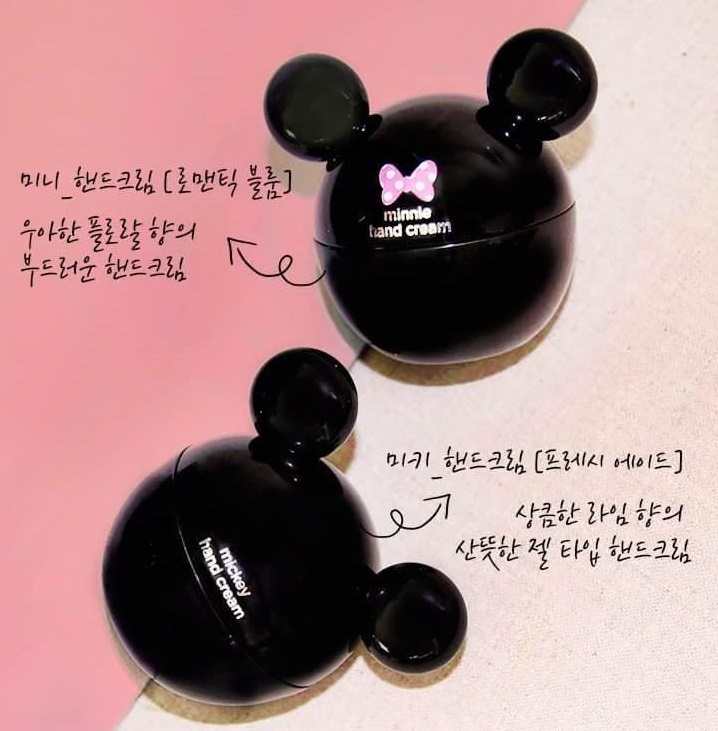 Mickey Mouse is a Perfection BB Cushion which uses the same formula as the Power Perfection BB Cream, one of the best BB Creams I have tried. 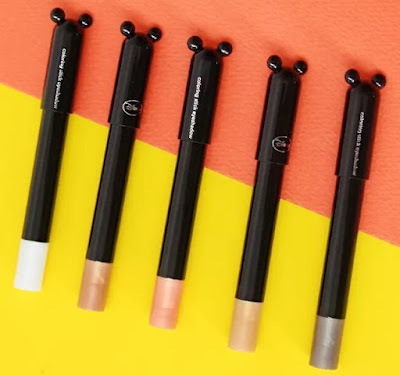 This full-coverage cushion pretty much conceal all those skin imperfections - pores, dryness, fine lines - while keeping the skin moisturized and glowing. 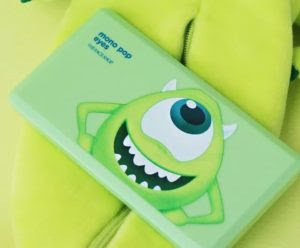 Mike Wazowski, on the other hand, is a Long-Lasting CC Cushion, great for covering pores and making the skin tone look even. 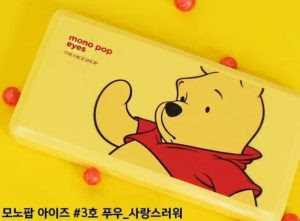 Winnie the Pooh is also a CC Cushion, but with cooling effects on the skin. All three cushions, which retail at 20000 won each, come with matching printed powder puffs that are just as cute as the compact cases. 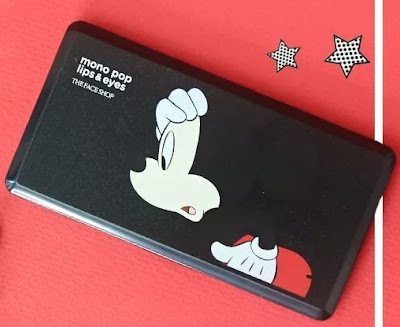 Mickey Mono Pop Lips & Eyes Palette. 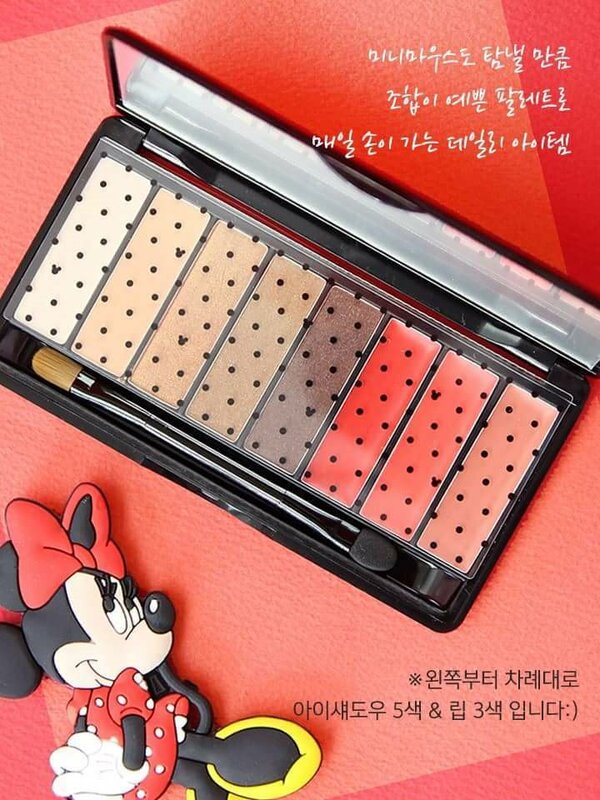 The first five shades are for the eyes, the other three shades are for the lips. 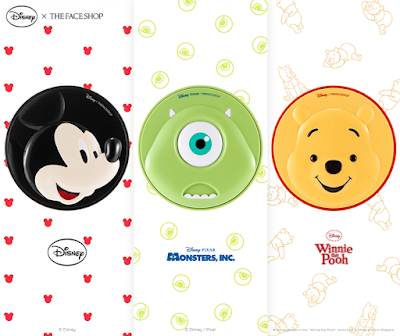 Also available in three adorable designs are the Mono Pop palettes. 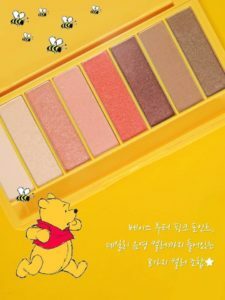 The Mike and Pooh palettes are eyeshadows exclusively, while the Mickey Mouse palette contains eight different shades, with the first five shades for the eyes and the other three for the lips. Mike Mono Pop Eyes Palette. Pooj Mono Pop Eyes Palette. As for the rest of the items in the collection, all of them have one thing in common - Mickey ears! Tinted Lip Balm, available in two shades. 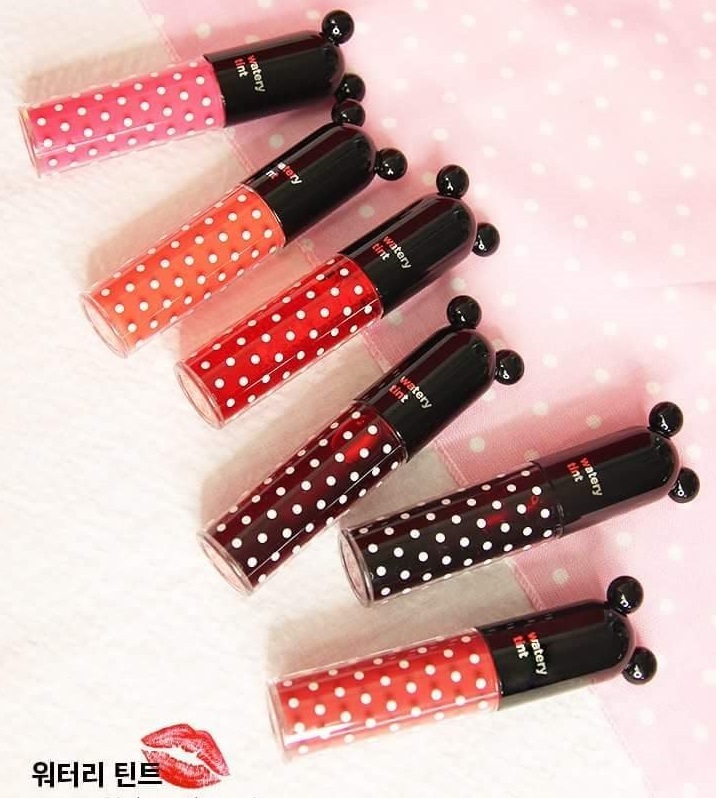 Watery Lip Tint, available in six shades. Ink Gel Stick, available in three shades. 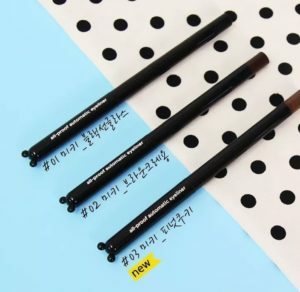 Coloring Stick Shadow, with five shades to choose from. All-Proof Automatic Eyeliner, with three shades to choose from. 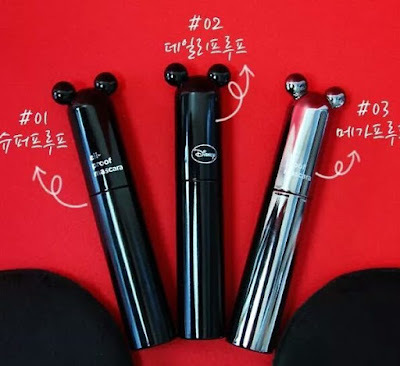 All-Proof Mascara, in three variants. 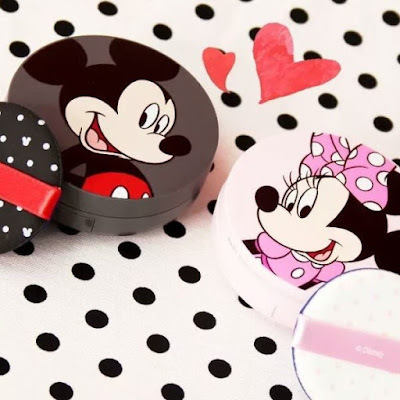 Mickey & Minnie Hand Cream. 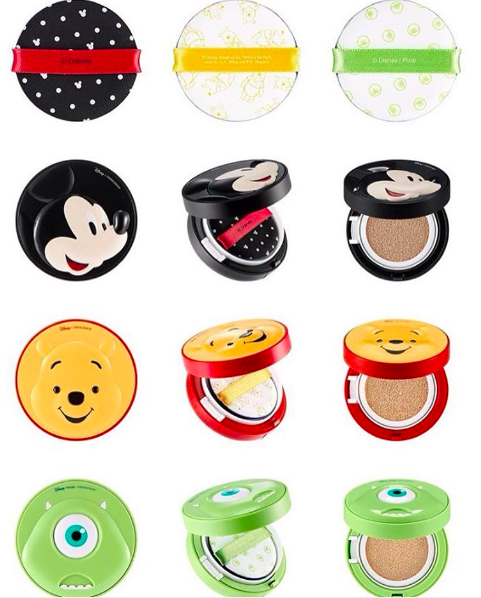 Oh, and I found out just moments ago that there's also a sun cream cushion included in the collection. This sun cream has SPF34PA++ and can be used by kids, too. Sun Eco Baby Cushion, with two designs available. As of this writing, only the BB and CC Cushions are up on sale at The Face Shop Korea's online store. Will update this blog post with prices of the other products as soon as they're available on the website. 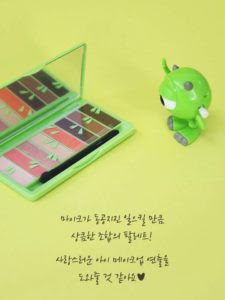 This collection will force me to buy new make-up! How cute are these! I really like the caps because they have mickey ears! But everything is adorable and a MUST have! Lol. This stuff is really cute! Talk about making it fun to put on makeup!